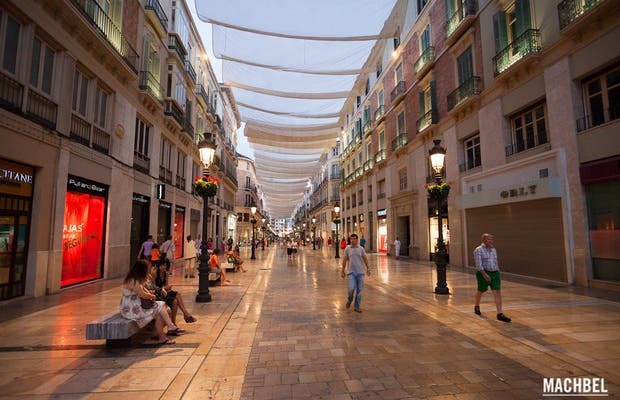 Perhaps the most emblematic street of Malaga and the most known and central, is the Marquis de Larios or CAlle Larios .. as the locals call it. Larios street is named after Manuel Domingo Larios Larios, II Marquis of Larios, the promoter of the textile industry development in the city during the XIX century. In May 1880, at the same time they put a statue of the Marquis de Larios at the end of the main street, it was also given the name Marqués. With the proclamation of the Second Republic in 1931 the street was renamed calle 14 de abril, the statue that paid homage to him was demolished by the crowd and thrown into the sea. Busy street love to stroll there.